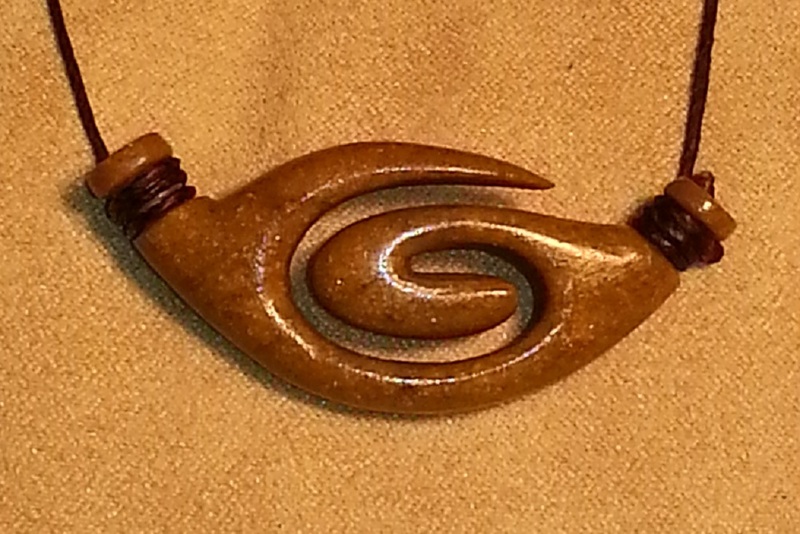 Hand carved stone creations for personal fashion including: Bracelets/Bangles and specialty Pendants. Bracelets and pendants are highly customizable. Whether you want a special design style for the bracelet, a special engraving added to the top or a unique pendant symbol created, just send me your custom requests. Proper bracelet sizing can be found at the bottom of this page. 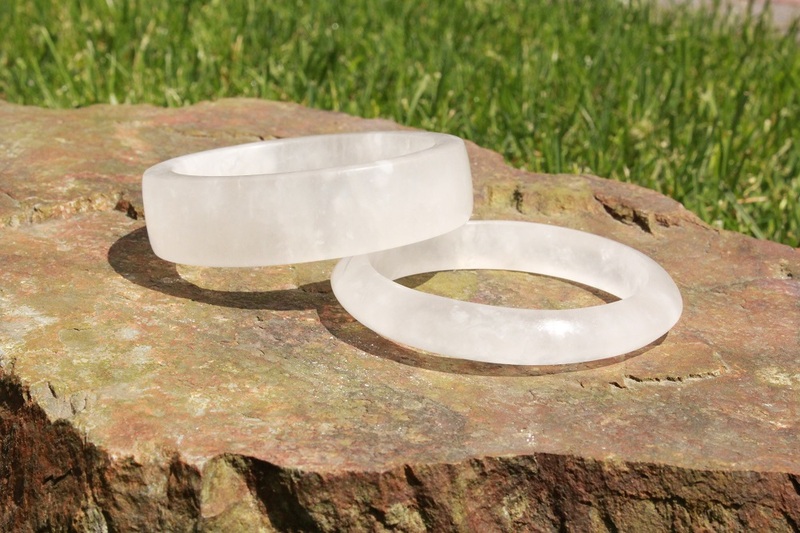 How do I determine my stone bracelet size? 1 Bring your fingers together on one hand as if you were sliding a bracelet over your hand. 2 Using a strip of paper or tape measure, wrap it around your hand at the widest point. The paper or tape measure should be pulled tight. If you are using a plain strip of paper, wrap it around your hand and mark out the circumference. Then lay the paper out and measure that circumference. 3 If you are planning on wearing the bracelet on your forearm or bicep, also measure there. The largest of either your hand circumference or where you plan to wear the bracelet (forearm or bicep) will be your maximum circumference size requirement. 4 Divide the measured circumference by 3.14 to get the required inside diameter bracelet measurement. Validate that inside diameter with your bracelet order or include with your custom bracelet request.